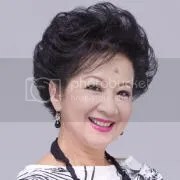 This site is dedicated to the famous Hong Kong Entertainer, Nancy Sit, MH. From being a child star to becoming a veteran, Nancy has won the hearts of many viewers and entertainers. Her kindness and generous acts has earned her the titles of 「精神健康大使」、「環保大使」、「交通安全大使」、「愛心之星」、「平等機會大使」and「滅罪之星」. She is also the first female artistes to have ever received the Medal of Honour from The Government of the Hong Kong Special Administrative Region of the People’s Republic of China. Despite undergoing hardships and illness, she stays strong and professional not letting her past influence her work. Instead she chooses to influence others through her works and has guided many others to being who they are today. Here, at Nancy Sit Fan Site we hope to share her works with many other fans who would like to follow up with her and learn more from her, as she truly is an Angel sent from Heaven. © 2008 – 2011 Jing-Mui @ Nancy Sit Fan Site.This site is not affiliated with Nancy Sit (although we would love to be ♥)and is simply a fan site dedicated to the wonderful entertainer. All translations and creations were created by Jing-Mui, unless stated otherwise.